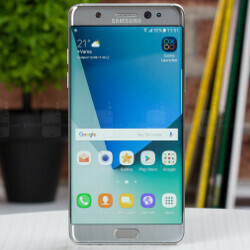 Samsung's much-publicised Galaxy Note 7 recall was announced earlier this month just as the phablet was due to hit the Chinese market. Since the China-bound models employed Amperex Technology Ltd (ATL) batteries rather than problematic Samsung SDI components, this variant was deemed as 'safe'. Indeed, ATL has since assumed responsibility for most if not all batteries found inside replacement Note 7 handsets worldwide. 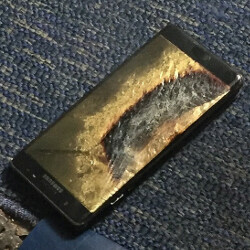 The whole recall could be in major doubt if one of these newer Note 7 devices was found to be a fire hazard, and now, one China-based owner says his just-purchased handset has exploded. Chinese Note 7 owner Hui Renjie says he purchased his note over at JD.com this weekend and it arrived Monday morning. Details of what happened next are scant, but we've heard enough of these stories to have a rough idea. The episode has apparently left him with two burned fingers and a damaged MacBook to go with his presumably totaled Note 7. He was then visited by a Samsung rep who offered to take the handset away, to which Hui declined. According to Bloomberg, the customer says he doesn't trust Samsung to disclose the cause of the fire, and wishes to publicize the problem. Samsung is said to be still in contact with the customer, though it's unclear if a resolution has yet been reached. 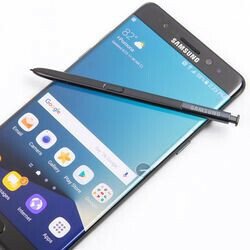 A previous incident of an exploding Note 7 in China was found to have been caused by external heat. But trust in Samsung throughout China, as with most of the world right now, is not particularly high. Until the full details of this new situation are brought light, there should be no reason for owners of safe Galaxy Note 7 devices to worry. With that said, if there is found to be an issue with these new devices, a second recall would be on the cards, and Samsung's depleted reputation could be in line for an even bigger hit. Your device is not in the list of affected devices and is not subject to this recall. If you have any other questions please contact us at 1-844-365-6197. Notice that little black box? Samsung says safe Note 7 devices ship with a little black box on the label. As you can see in the previous image, Hui's Note 7 does appear to include this safety mark albeit in a different location. Nothing surprising here. Samsung uses low quality materials in their devices. Wait for a Samsung confirmation before assuming Samsung fans are in denial. Are apple fans going to deny how bad apple is when someone died from their phone blowing up? Got to agree with you there. not a single person ever died from a faulty Samsung phone. many died because of iPhone exploding , burning or by electrocution. Still got to agree Samsung like Apple tend to cut round corner in quality departement since a few years. Is it me the usb cable's color is silver instead of Samsung's white? I didn't see that before, yes it is. Someone died? when? You know what just link me. nah..even if samsung confirms that u and ur gang will still in denial mode....ask trojan horse. Because your claim is utterly false. 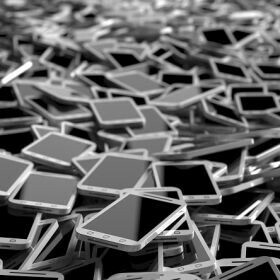 Samsung's materials are always of latest tech, and their flagships have always had the highest manufacturing cost. Then why did they explode if they have the highest manufacturing cost? Another Samsung fan in denial. 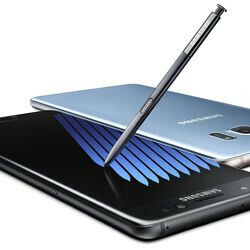 Some Note7 explode due to defective battery units. That has nothing to do with manufacturing cost. Take a look back at 2015. Can you tell any smartphone released last year which was more advanced or had a higher manufacturing cost than the Galaxy S6 Edge+ or the Note5? And yet those advanced phones lagged badly. Spew whatever you want, but they do not lag in the sense of major slow-down. Just few hiccups here and there, and that happens to ALL devices out there. None are perfect or 100% lag-free. 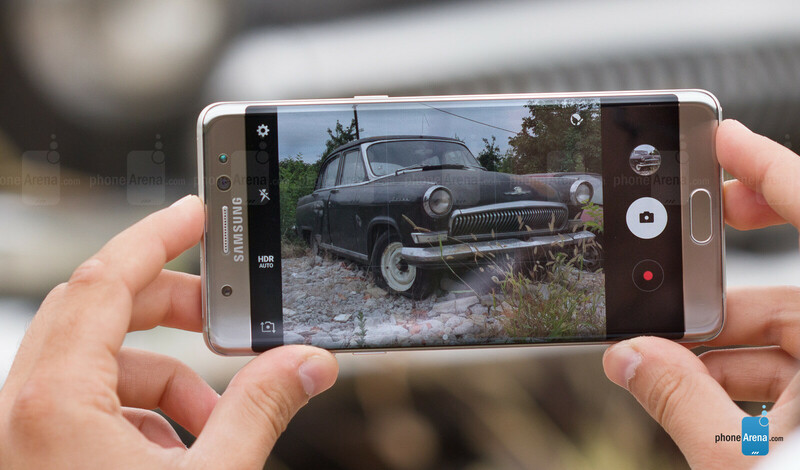 Most of the professional reviews have consistently rated Samsung's flagships at the top! Deal with it. Those reviewers are paid by Samsung. Samsung Note 7 lost badly to one year old iPhone 6s in speed test by XDA. I will trust XDA over a fanboy like you. lol those speed test are useless. what really usefull is the fact thats iPhone tend to bug much more often ( app closing by itself , phone crash ) than any android phone currently on the market. as for lag i have to agree Samsung phone tend to be a bit more laggy. My lg g5 has no lag at all not even micro one. And iPhone 7 list to 1 year old Nexus with android 7 And on bar with a 400 $ op3 What's your point? Well, I haven't seen any lag on my iPhone 7 Plus. This is the smoothest phone I have ever had, both iOS and android. And I've not seen any in my Note 7, the smoothest, best phone I've ever owned (iOS or Android). Anecdotal evidence is much easier! Maybe I'll try the your other tactics, to see if they're ready, too. IPhone reviews are paid by Apple. Yep, really easy. Have u tried a nexus? s6 Edge+ runs smooth and is beautiful. I was surprised that TOuchWiz ran that way since my whole life i've heard that it was very laggy. manufacturer defect. Defect in the developpement of the device. Who know. not like other big OEM did not had a big share of faulty device before. IPhones even killed ppl by exploding. "Oh god the denial in you loyalists is amazing" Just like when you deny when Apple has issues?